Professional transcripts of any video or audio file are available for interviews, meetings, films, etc. Time stamps are added to easily locate desired quotes. 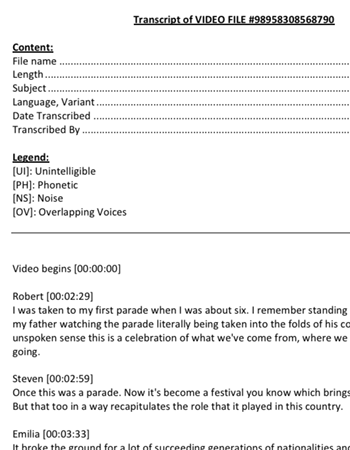 Our transcripts are edited by actual human beings to greatly improve the accuracy of the transcript compared to fully automated transcription services.